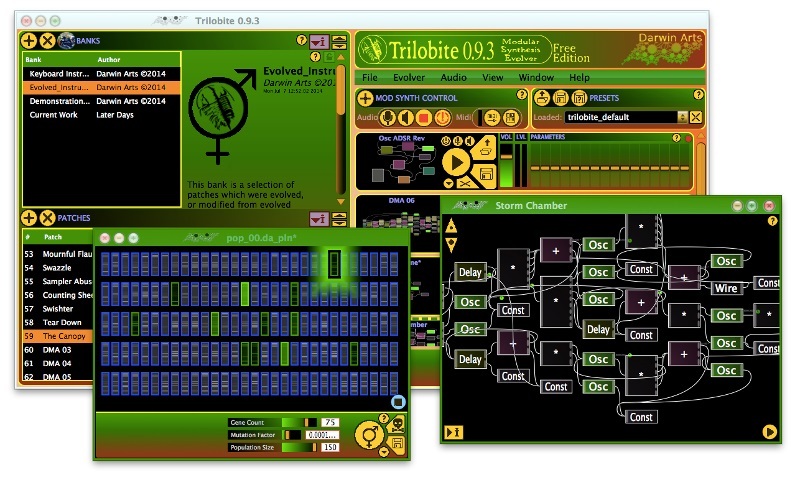 Trilobite is a musical tool for refining and editing your sound patches. This application is a genetic algorithm toolkit for creating new sounds in the form of parametrically-interactive modular synthesis patches, and builds upon earlier versions by combining a visual language programming environment and an evolution engine for smooth workflow and rapid discovery of new sounds. As time permits, we'll be uploading more demonstration patches to the web site and creating tutorial videos for distribution on the Darwin Arts YouTube channel.